Copyright © Mike Haney (felixtcat) on Flickr. All rights reserved. 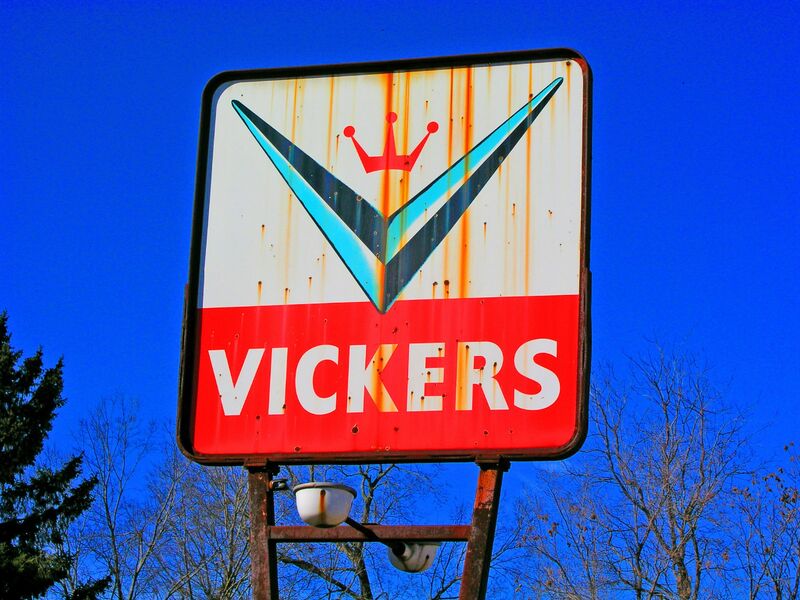 Vickers was a Kansas-based oil refiner that spread its filling stations all over the central portion of the United States. It had a decent but no-frills reputation. A strange combination came about in 1969 when Vickers was purchased by the Swift meat company. It was split up and sold in 1980 with Mobil taking the refining operations and Total taking the retail outlets. Total continued to use the Vickers brand until phasing it out in 1993. Posted in Retro/Vintage, signTagged Americana, closed, defunct, filling station, fuel, gas, gasoline, nostalgia, oil, petrol, photography, service, stationBookmark the permalink. Getting Your Answers…at Electronic Speed!